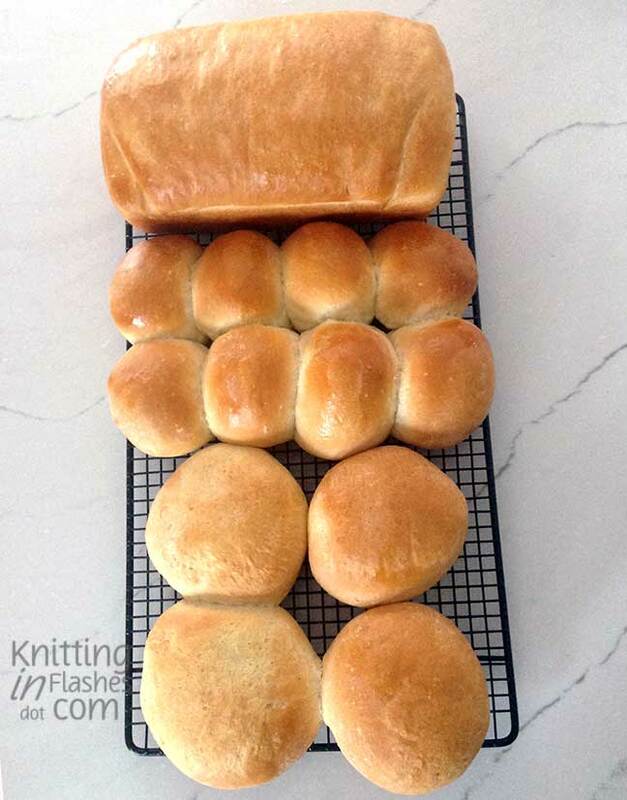 This entry was posted in cosy, food, Home stuff and tagged cooking, food by Patti_is_knittinginflashes. Bookmark the permalink. One of my favorite aromas. And do much better (less bad?) for you than store-bought. We’ve made a meal of freshly baked bread in the past. I rarely buy bread unless it’s made by the local bakeries. The mass-produced stuff is just gummy. I love the smell of bread baking, too. What a wonderful smell baking bread is. We have a factory not too far away which bakes bread – when the wind blows in a certain direction we get that wonderful fragrance. I never tire of that aroma! A business in my hometown roasted coffee beans and peanuts (though not at the same time nor on the same day) and the whole town smelled wonderful on roasting days. Mmmm, and having the oven on warms the house!